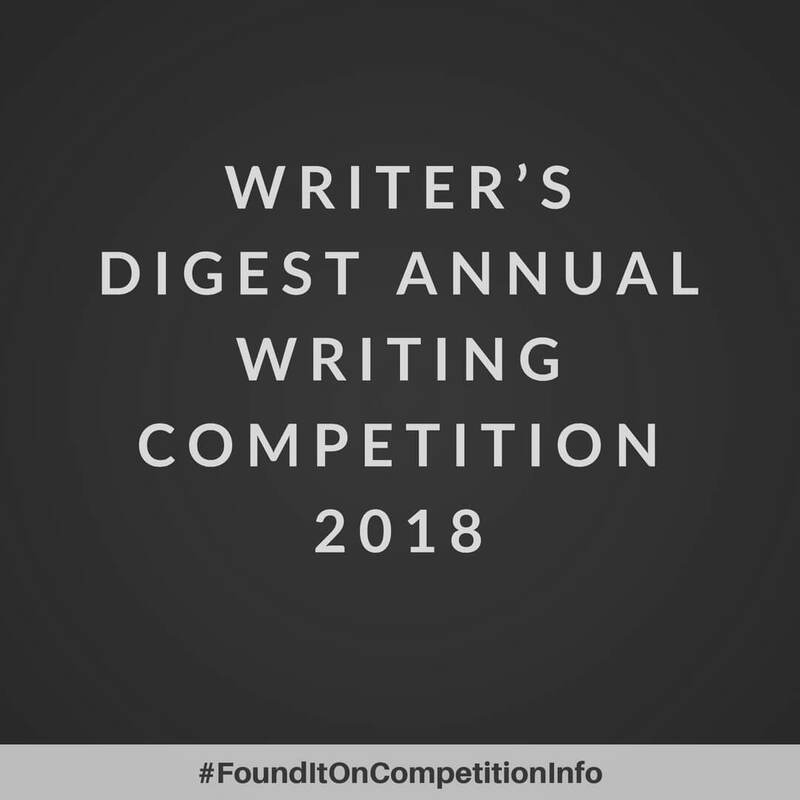 Writer’s Digest has been shining a spotlight on up and coming writers in all genres through its Annual Writing Competition for more than 80 years. The Grand Prize winning piece and the 1st place winning piece in each category will be published in the 87th Annual Writer’s Digest Annual Writing Competition Collection. All other top winners will have their names listed in Writer’s Digest, on WritersDigest.com and in the 87th Annual Writer’s Digest Annual Writing Competition Collection. Have their names listed in the 87th Annual Writer’s Digest Annual Writing Competition Collection. Poetry entry—$20 for the first entry; $15 for each additional poetry entry. Manuscript entry—$30 for the first entry; $25 for each additional manuscript entry. Poetry entry—$25 for the first entry; $20 for each additional poetry entry. Manuscript entry—$35 for the first entry; $30 for each additional manuscript entry.